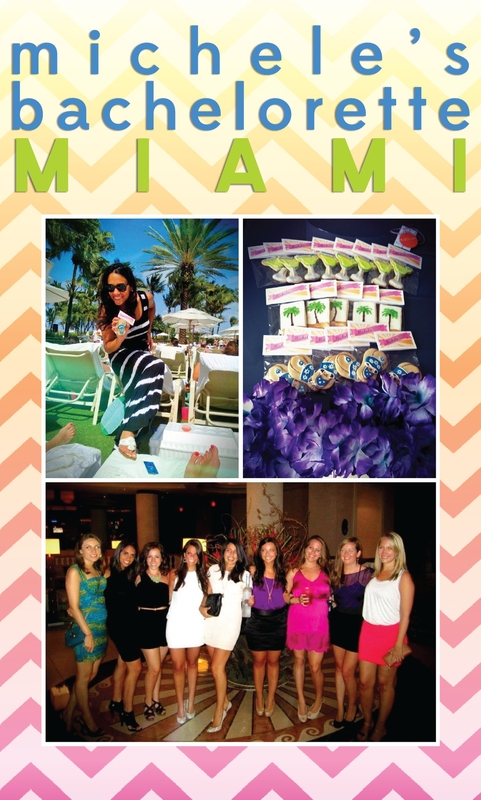 Michele's Bachelorette Weekend in Miami! 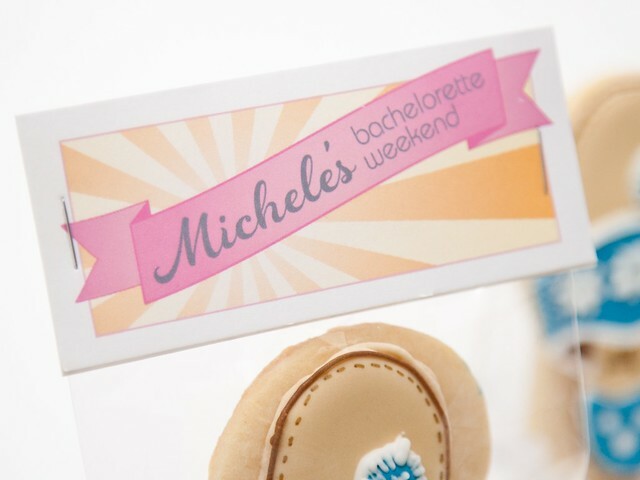 My friend Colleen ordered some destination bachelorette party cookies (destination: Miami) for her bestie, Michele. Colleen couldn't go to the bachelorette, but wanted her friend to feel the love in her absence. 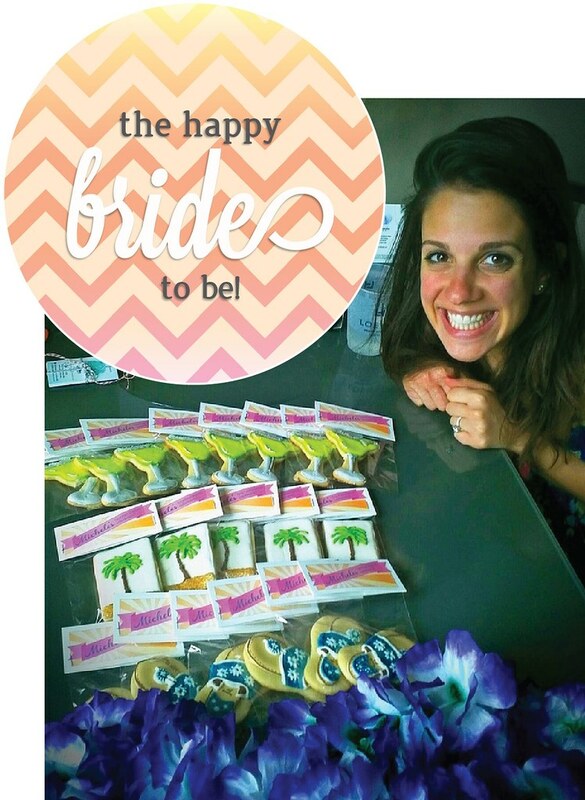 What better way to say "i heart you" than with some cookies. 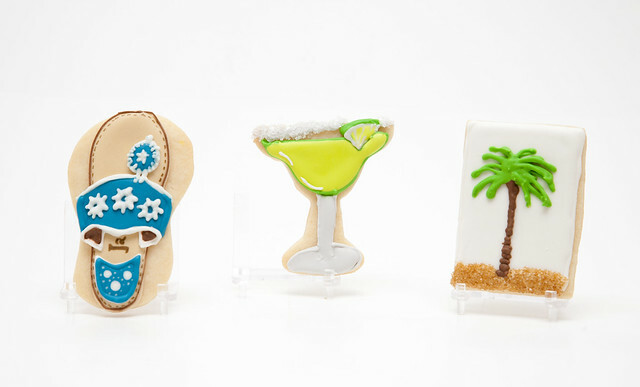 Pretty cookies, too. 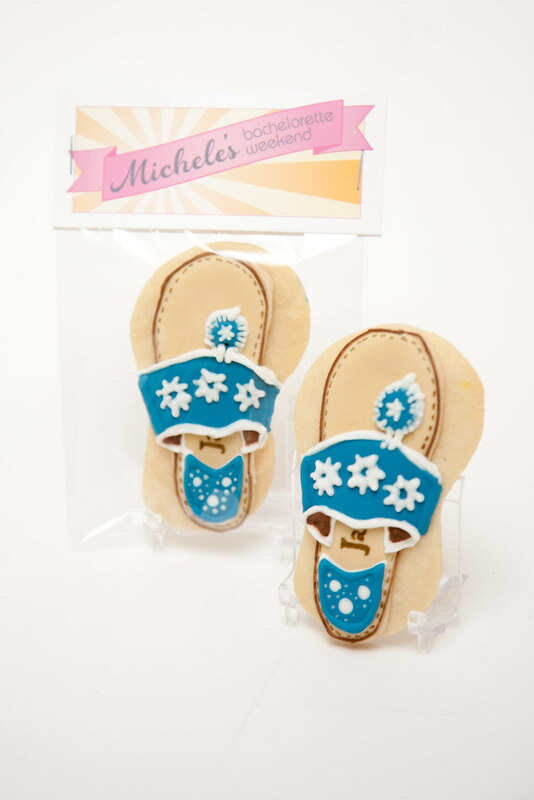 Colleen really like the margarita cookies and Jack Rogers sandal cookies that I did for Madie's Bachelorette. 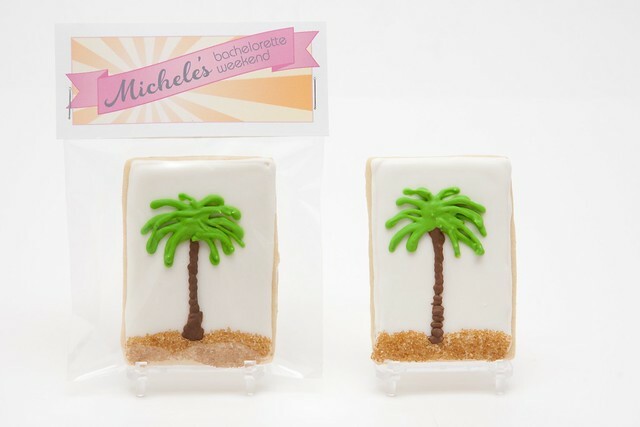 I did a palm tree cookie with sandy colored sanding sugar. Very simple, but fit in just perfectly with the set. 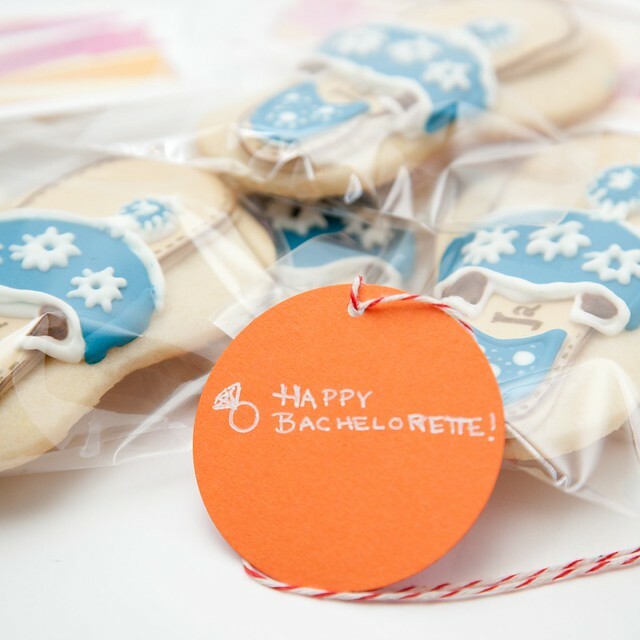 I was very excited to make some fun bachelorette tags in hot pink and orange to keep up everything vibrant and fun. I did a little bit of the design work (after reading some tutorials online) and it was taking me way longer than it should have, so Cole stepped in and finished it up very quickly and it all came together better than I even planned. I think I'm going to keep this tag around as a go-to. I even asked Colleen to have the girls send me a picture with Michele getting her cookies and they did! Yay! 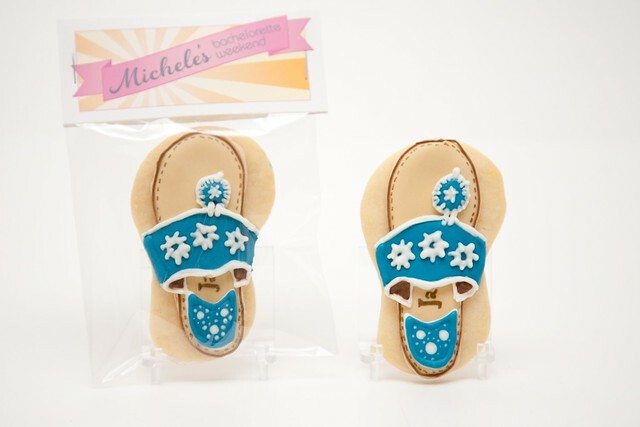 The cookies actually got to the resort early so the girls set them up in the room really nicely with the gift message from Colleen to surprise Michele when she got back from lunch. So cute! I included my favorite pictures below & even one non-cookie picture of all the girls in their resort lobby (I think) because... it's a winner. 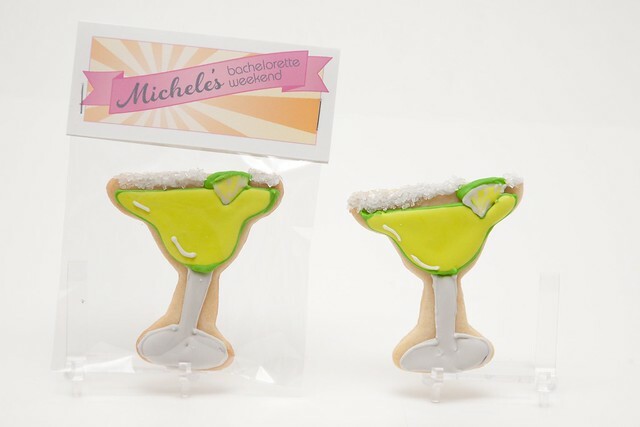 Congrats, Michele! :) Thanks for the pictures, Antonia & Ash Pat!